What you use to insulate your crawl space (and where you install that insulation) will make a significant impact on your home's energy usage. 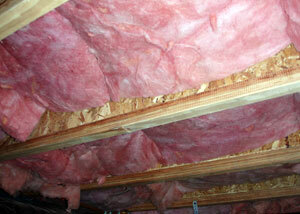 Each insulation type provides a set of advantages and disadvantages for your crawl space. Which best suit the needs of your home? The foundation of your house plays a key role in the overall energy profile of your home. Whether that foundation is a basement, foundation, or slab, the choices you make when sealing and insulating will significantly impact every other part of your home. A home with an uninsulated crawl space is likely to be drafty and uncomfortable throughout most of the year. The space will cost you more energy (and money) than necessary to heat and cool, and the floor over the crawl space can become cold and uncomfortable. 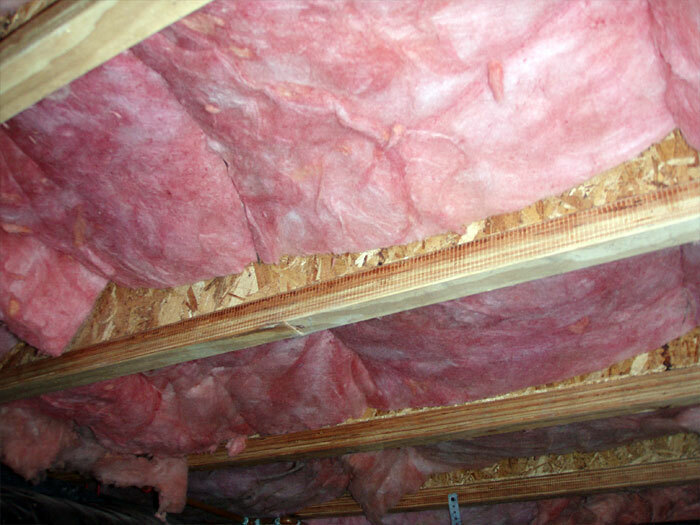 At Basement Systems, we recommend installing insulation on the walls and floors of the crawl space, rather than on the floor joists (sometimes referred to as the "crawl space ceiling"). Crawl space insulation installed on the walls and floors can do double duty -- providing a vapor barrier while also insulating the space. This way, your crawl space is protected from moisture, and your utilities are shielded from outside air during the cold winter months. Your local Basement Systems Dealer can provide you with a cost-effective crawl space insulation system that is custom-designed for your home! An installation of our warrantied system can be completed quickly -- often in less than a day. 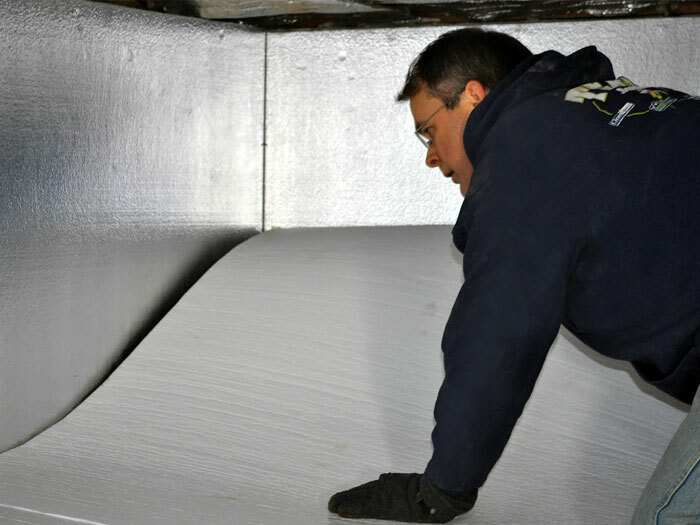 To schedule a free, no-obligation crawl space insulation quote with your local dealer, contact us by phone or e-mail today! Our network proudly serves throughout Canada, the United States, and the United Kingdom. 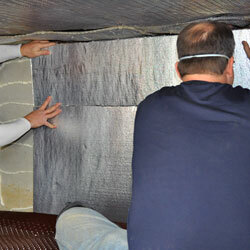 We've designed our insulation system to be ideal for the challenging environment that a crawl space tends to provide. These challenges include moisture, limited access, obstacles, and insulation that can support traffic from the homeowner and service workers. Our innovative SilverGlo™ Crawl Space Wall Insulation is created using graphite-impregnated panels of rigid foam insulation. 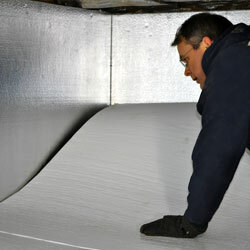 The distinct design of this insulation makes it as much as 24% more effective than standard foam insulated panels. SilverGlo™ Insulation is created with a closed-cell design -- one that's complete waterproof and creates a vapor barrier when installed on the crawl space walls. This wall insulation product also features a shiny visible surface -- one that maximizes available lighting while also serving as a radiant heat barrier for additional energy savings in your crawl space. We insulate crawl space floors with our TerraBlock™ System. This is designed with 3/4" of expanded polystyrene (EPS) foam insulation -- providing your floors with a warm, durable surface that can withstand normal access by homeowner and service worker alike. TerraBlock™ Insulation does double duty on your crawl space floors, providing then with a layer of waterproof insulation, while also creating a vapor barrier on the floor of your crawl space that will hold back humidity. In flooding crawl spaces, TerraBlock™ is fully compatible with our drainage matting and waterproofing system, for a complete solution for your home. Your local Basement Systems Dealer can provide you with everything you need to maximize on the value and energy efficiency of your crawl space -- including our innovative crawl space sealing and insulation system. 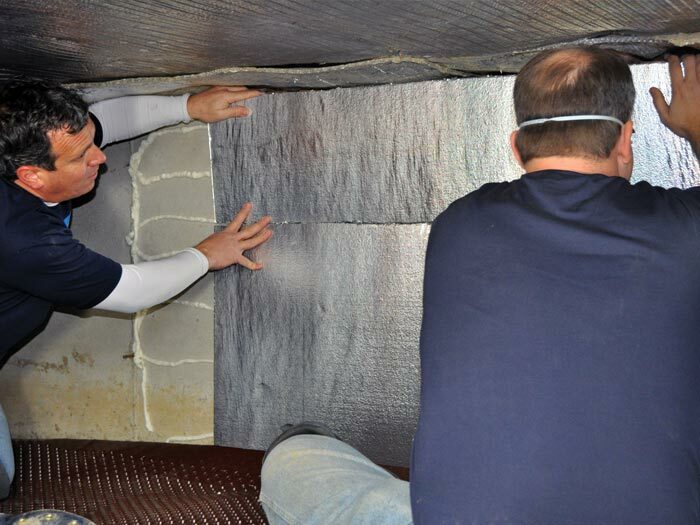 For more information on how our experts can help you with your crawl space, contact us for a free, no-obligation crawl space insulation quote! We'll stop by to measure your crawl space, answer any questions you have, and work with you to create a customized solution that's ideal for your home. Before our scheduled visit, we'll also mail along a copy of our full-color crawl space book -- Crawl Space Science -- for you to look over. It's packed with information about crawl space problems, repairs, and upgrades of all kinds -- including our products and services. Our network proudly serves throughout Canada, the United States, and the United Kingdom. Your local dealer is standing by to serve you!